Contouring Guidelines and Treatment Planning: Is What We Need Easily Available? The article is free for download. We will discuss the article itself but also focus on the importance of access to contouring and DVH criteria to ensure safe, effective cancer care globally, particularly where resources are limited. Part of the journal club will be analyzing the paper, but part will be addressing the problems of standardization and sharing best practices to make it easier for high quality care to be offered everywhere. Our #radonc journal club starts Saturday July 28th at 7 AM Central Standard Time for open chat through the weekend. T1. What are the most important features of a high quality guide for contouring or treatment planning? T2. For the article we’re discussing on prostate cancer contouring, what did you find helpful in this paper? What is missing? T3. What is the current practical application for MRI-based contouring for hypofractionated radiation therapy or SBRT? 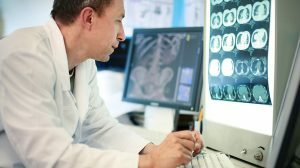 Do you use MRI exclusively over CT data if you have a good fusion? T4. What are the biggest barriers to making contouring guidelines and treatment planning criteria widely available? T5. Is there a ‘water cooler’ component to simulation, planning and localization? Experts/academics: how much of your practical guidance are discussed with other experts at meetings versus explicitly described in published papers? T6. How many contouring guidelines or key articles are behind a paywall? Share PubMed IDs so we can make a list of articles that aren’t currently accessible but should be. T7. LMICs are getting more infrastructure and staffing. What do you think are the best ways we can leverage/organize published data into usable guidance to help LMIC centers offer high quality care? Radiation Nation is now part of AORTIC but remains committed to disseminating useful information globally. It may now be time to shift our focus from discussing articles to making it easier to implement best practices in radiation medicine. We would love to have participation from clinical/radiation oncology, advocates, patients and anyone who can enlighten us on how to best help.